I am a nerd when it comes to Greek manuscripts. 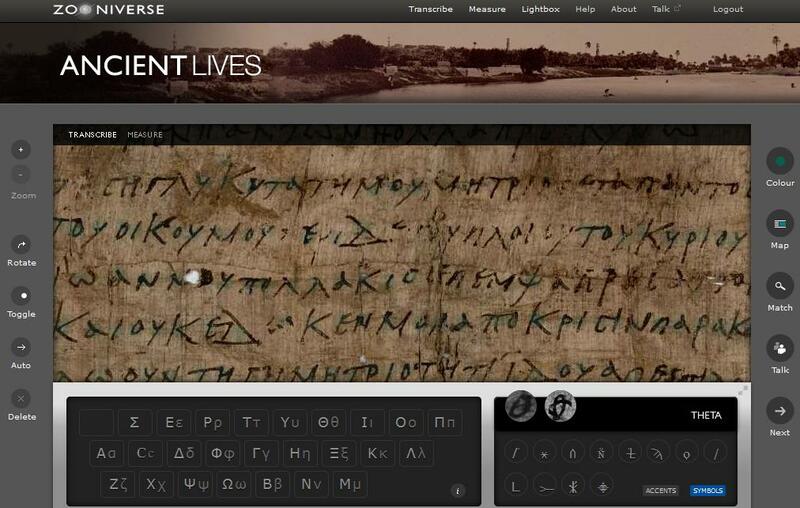 So I was excited when my wife sent me a link to zooniverse’s newest citizen science project “Ancient Lives.” The project is run by the University of Oxford, and they are looking for help transcribing the Oxyrhynchus Papyri. 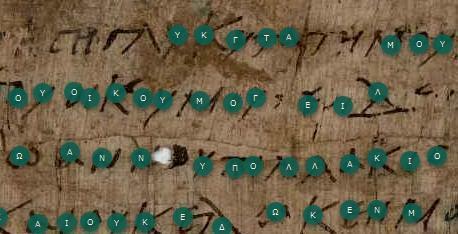 The Oxyrhynchus papyri are one of the largest archaeological discoveries of the past century. These papyri were found in what is basically a garbage dump. Hundreds of thousands of papyri fragments thrown away by Egyptians in (approximately) the 6th century AD are a treasure to modern researchers, and give us a vast amount of information about the ancient world. Included in the findings are many early christian text such as New and Old Testament manuscripts as well as apocryphal texts such and the Gospel of Thomas. Yet this discovery did not only have religious significance, there are many important mundane (or at least non-sacred) text ranging from manuscripts of Homer to ancient Egyptian financial record and loan contracts (an invaluable source to provide previously unknown insights into business and banking practices in the ancient world). Yet although these papyri were discovered over a century ago currently only about 2% of them have been transcribed and made available to researchers. In an unprecedented appeal to the public, Oxford university has made over 400,000 papyri images available online and is asking armchair archeologists or even people who simply like word puzzles to help them in their effort to transcribe these important documents. The nice thing about this project is one does not necessarily need to know Greek, it is fun puzzle to solve just by matching characters (but knowing Greek words does help). The most exciting part of this project for me is getting access to and helping such an important project.